Our traffic lawyers are experienced in helping clients achieve the best possible outcome for traffic and driving offences. dangerous driving causing death or grievous bodily harm. Why is it important to get legal advice? Being charged with any sort of driving or traffic offence can be a daunting experience. It can mean a large fine, a loss of licence and even a criminal conviction. We understand that losing your licence is not just an inconvenience, it can also have far reaching consequences for you, your family and your livelihood. In New South Wales, traffic law is unnecessarily complex. The traffic lawyers at O’Brien Criminal and Civil Solicitors have gained extensive knowledge and experience in helping thousands of clients fighting their traffic and driving offence charges. We can ensure that you are best informed of all your options. We can advise you on the appropriateness of traffic offenders programs and other avenues that may mitigate the penalty arising from a breach of the traffic law. If you believe that you’ve got a rough deal from the RTA or the police in relation to speeding, traffic cameras or any other traffic offence, or that you have a strong argument to keep your licence, O’Brien Criminal and Solicitors can help you to avoid a fine or loss of points and keep your licence. You can see by these that we have a wealth of experience in defending clients in a range of traffic and driving matters. Contact O’Brien Criminal and Civil Solicitors on (02) 9261 4281 to book an free initial appointment with an experienced criminal lawyer. Alternatively, you can drop us a message through our contact form. 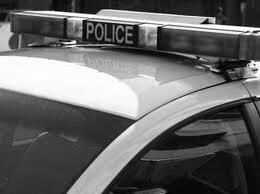 To read the testimonials and case studies of real life driving offence cases and clients click here.